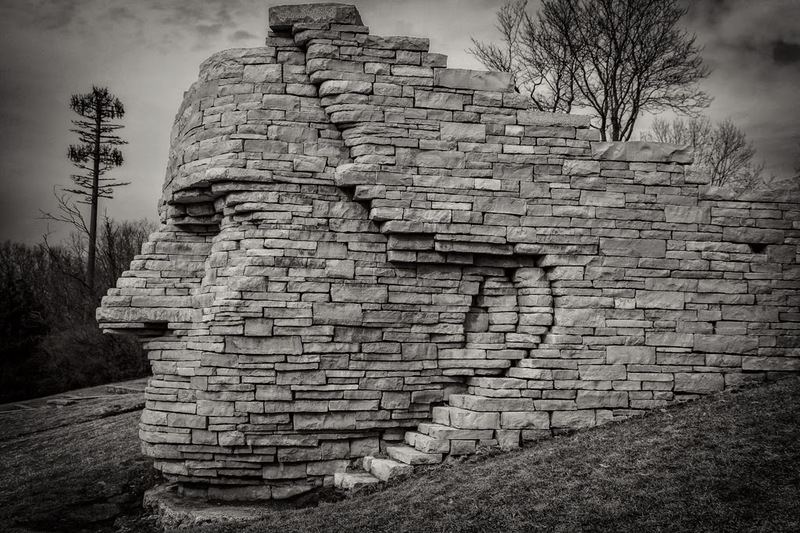 Native Ohio limestone slabs make up the structure of this monument to an important Native American historical figure. 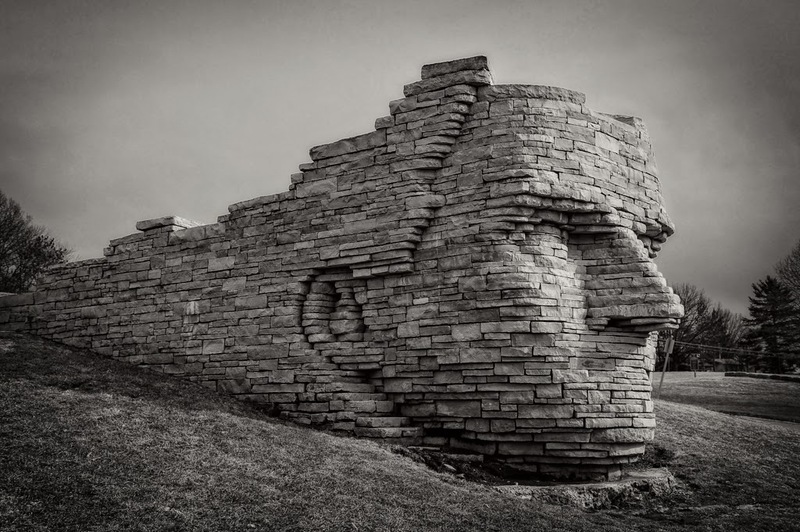 Chief Leatherlips, also known in his native language as SHA-TE-YA-RON-YA of the Wyandot tribe, got his name from the settlers who described him as "having an admirable trait of never breaking a promise". The Dublin Arts Council commissioned the artist Ralph Helmick to design the piece and it was dedicated in Scioto Park in July 1990. The location is just a short drive down the road from Chief Leatherlips burial site. 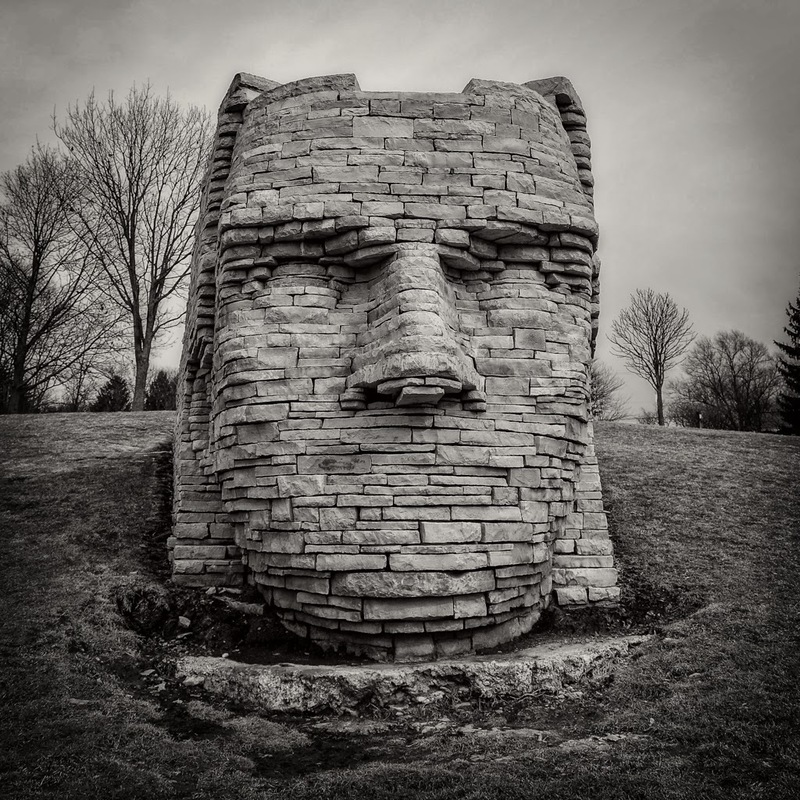 The background on Chief Leatherlips is rather fascinating, and we encourage anyone interested in history to research this pivotal figure in Ohio's legacy. For those looking to see the stone monument in person, it is located at 7377 Riverside Drive, Dublin, OH. The monument is quite large, actually larger than the perception you get from the images here. It really is a neat idea to have used individual stones to construct the face. If you walk all the way to the back, there is a dirt path that lets you walk up and stand in the head portion of the structure. A short ways down the hill and directly in front of the monument, there is a plaque that give a little history on the monument and Leatherlips. It also gives you a good view too. Overall, I really liked the park and the monument. If you are int he area, it is worth the short stop to see.